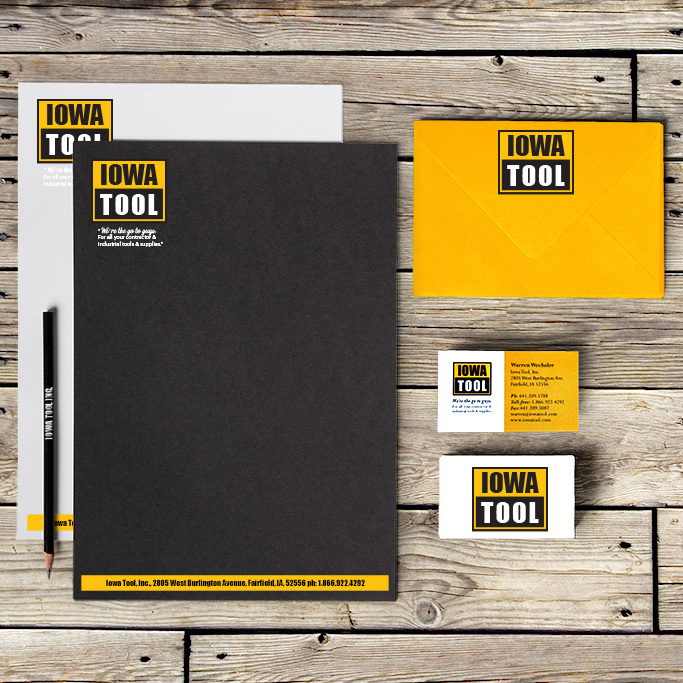 The direction for this project was to create a logo that feels like of the University of Iowa (Go Hawkeyes!). So I used the college colors and combined that with a strong font to give it some heft – they are selling power tools after all. 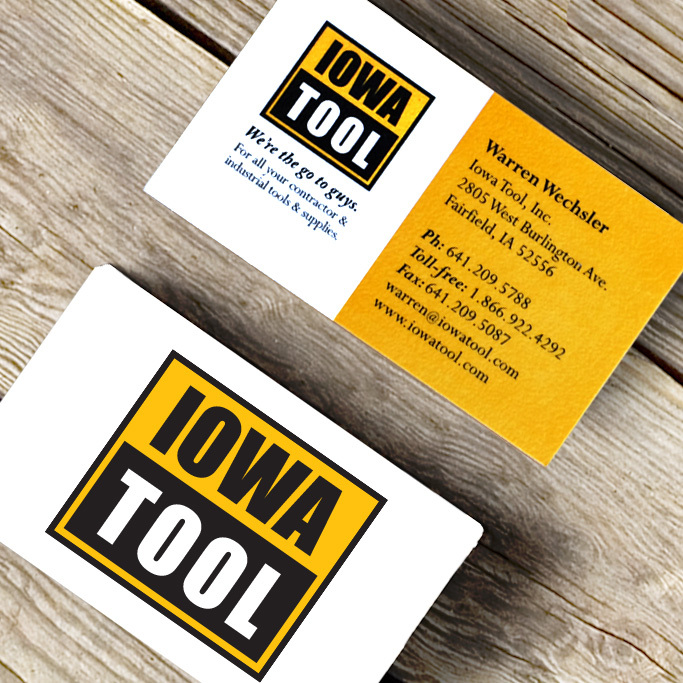 Branding was used on all marketing collateral and signage for a retail shop/warehouse located in Fairfield, Iowa. MY ROLE: Logo creation under direction of business owner, and graphic design for additional marketing materials.